Molecule 8, under license with Epic Rights and Yoko Ono Lennon, will launch a collection of John Lennon figures this spring. 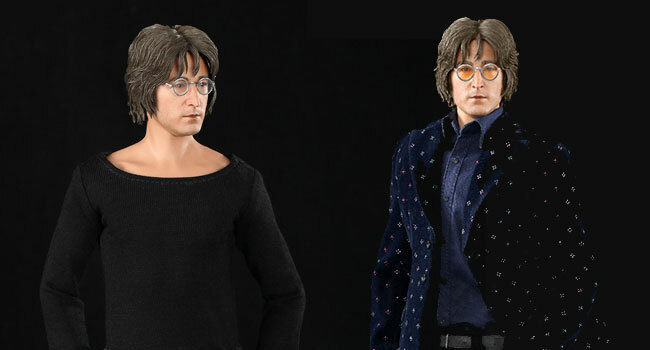 In April 2018, the first limited edition 12 inch John Lennon Figure will be released globally and will feature three finely tailored iconic outfit options from the “Imagine” era, his revolutionary anthem for peace and unity, two interchangeable head sculpts with singing and resting facial expressions, interchangeable hands for various gestures, classic yellow-tinted glasses, round style glasses, trademark cowboy boots from the “Imagine” era and custom engineered stand. Pricing is $299.95 with free worldwide shipping. Pre-orders are underway with shipping the first week of April. The first 1,000 are sequentially numbered. Epic Rights is a leading music industry artist services company representing many top artists and providing a broad scope of services, including: retail and brand licensing, official artist e-commerce shops, VIP ticketing, official fan communities, and concert merchandising. Epic Rights is headquartered in West Hollywood, California. Molecule 8 was formed in 2015 with a passionate vision to deliver the most life-like, visually engaging and advanced collectible products in the world. Its leading team of artists specialize in the production, marketing and distribution of museum-grade licensed collectibles. With locations in London, Tokyo, Los Angeles and Hong Kong, its global business presence offers extensive experience working with multinational brands across a broad spectrum of the entertainment industry and beyond.